In a bowl sift 3c. of amazing Grace gluten free pastry flour and 1c. of amazing Grace all purpose gluten free flour. Sift 3 times. Measure out 2 c. of mixed flour and add 2 t. salt into sifter. Sift into a separate bowl and set aside. In a separate bowl, warm 1 1/4c. milk with 1T. quick yeast and 4 T. sugar, stir and let bubble about 10 min. Then add 2T. orange juice and mix. Add 1 egg and 1 egg white (or sub.) mix, then add 4T. soft butter Flavored Crisco and 1 t. vanilla to bowl and beat with electric egg beater. Now mix in 4T. plain potato flakes now mix. Add the 2c. of sifted flour with salt in it and mix for 3 minutes. Add 1 more c. of the blended flour a little at a time and beat in after each addition. Add 1/2 grated zest of an orange to it. On a flat surface put out 2-3 t. pastry flour and spread. Gently pat out pastry dough you just mixed and using a slightly floured rolling pin roll to about 10 inched by 5 inches. Now gently place a mixture of 4t. brown sugar 1/2 orange rind and 4t. 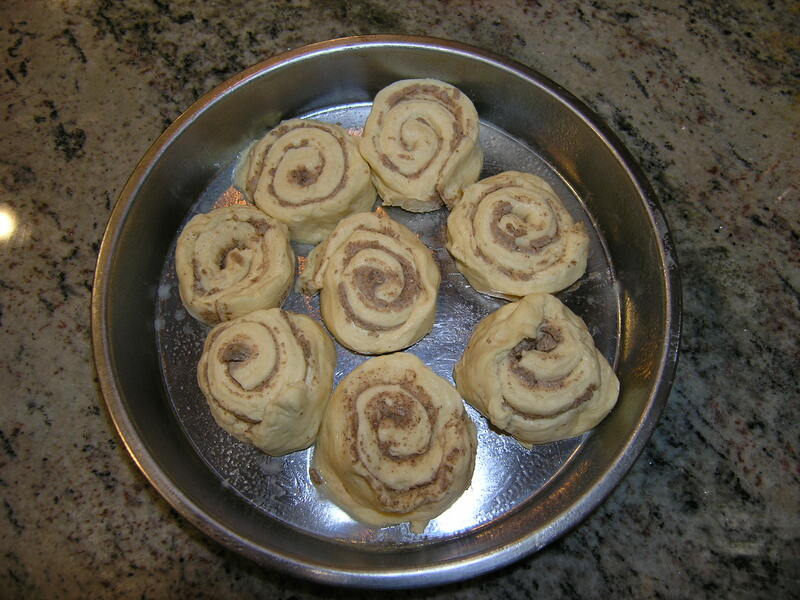 melted butter mixture in the center (like making cinnamon rolls) start to gently roll up. 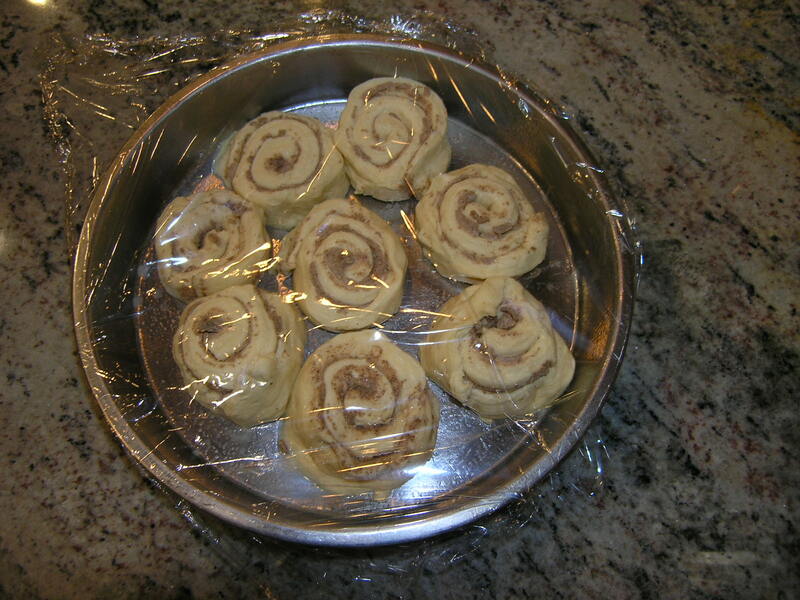 ** I often have placed the dough onto (sprayed with pam plastic wrap sheet) before rolling out. It is easier to roll over the wrap to turn into a roll. Seal the edge by pinching together. Gently cut into 1/2 in rolls WITH DENTAL FLOSS. place in a greased round cake pan, you may need to use two round cake pans. Place them close together in pans. Cover with plastic wrap that has been sprayed with pam on top of rolls. Gently cover with kitchen towels and put in a warm place to rise for 25-30 min. Put into a preheated oven 350 degree oven for about 15-25 min When cooked, place pans onto a cooling rack. Frost with powdered sugar and butter mixture and more grated orange zest. This recipe can be changed to make cinnamon rolls, cranberry rolls, Lemon rolls, jam rolls or even the orange rolls above. All you do is change the flavorings, add nuts if desired, and the mixture in the middle, change the icing and you have created your own roll recipe. CAUTION don't over stuff the center.